Hello friends! 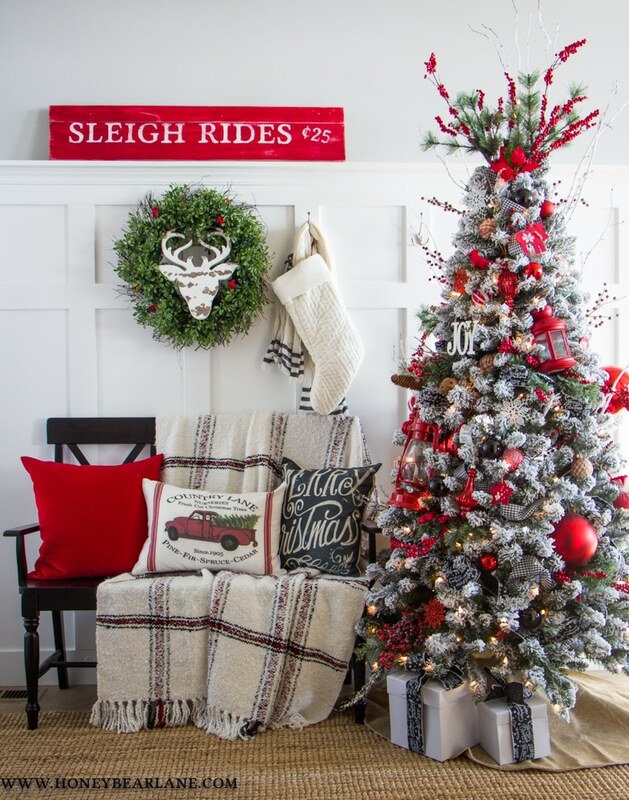 It’s my second year of participating in the Meaningful Holiday Home Tour and I love it! All the bloggers who participate are supremely talented decorators and I always come away with so many new ideas. 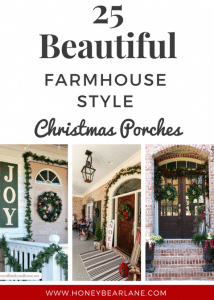 I shared the other rooms of my house earlier this week for the Balsam Hill Holiday Housewalk but I wanted to save the Christmas entry for this tour. I always love decorating the entry and I actually LOVED it last year but this year beats lasts year out! 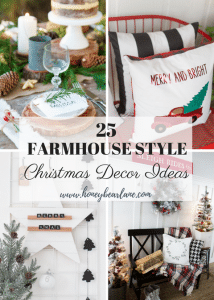 I joined the rest of the farmhouse-loving universe this year and became obsessed with flocked trees. I have a really nice 12-foot regular Christmas tree and I knew (from previous experience) that trying to flock it myself would be a huge mess and probably make it look bad. So I decided to buy a pre-flocked tree from Walmart. I found this cute 6 foot one for only $69 and I think it’s pretty good quality. They have a $30 one but it doesn’t have lights on it and I am SO over non pre-lit trees. I set it up in the entry and it really doesn’t take up too much space for the entry. I set it up the same time as we set up our 12-foot tree and so I pulled out all the ornaments and tree decor and divided it up. 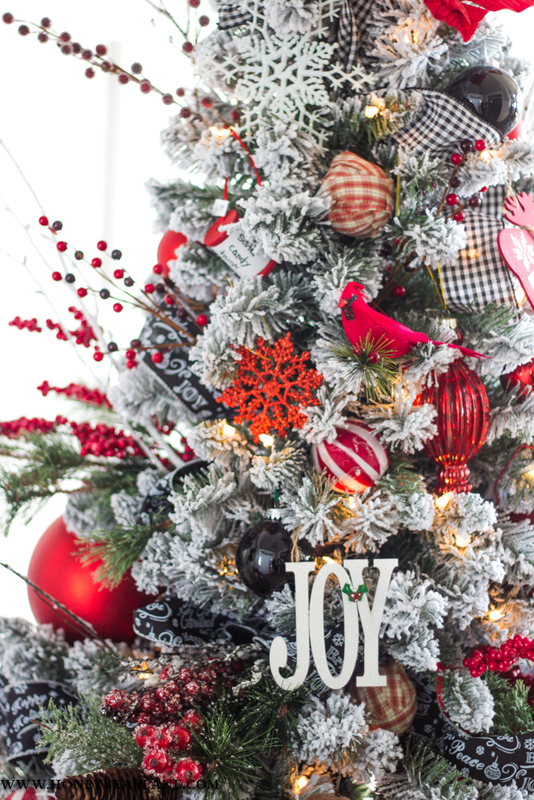 I put everything red in the flocked tree and everything gold, white, and silver on the tall tree. Which is super fun because I LOVE red at Christmas but I get so sick of red and decorations looking at it every day. So when it’s confined to smaller spaces like the entry and my bedroom, I can enjoy it while not getting sick of it. I discovered something about decorating small trees though…they are WAY more fun to decorate than tall trees! You can jam them full of decor and they just look better and better whereas tall trees look better with less. Interesting little discovery I made this year! I purchased some black and white checked ribbon and some ‘chalkboard’ type ribbon and weaved it into the tree. Then I shoved in the faux branches of red berries all over, especially on top. Then I added all my other red ornaments and basically anything that had red on it. I even added some red lanterns I had. I think it turned out really well and basically LOVE it. The rest of the space has my other red stuff like my red Sleigh Rides sign and pillows and whatnot. It’s such a cute and welcoming space, perfect for an entryway! I love that this space came together with a lot of my favorite Christmas items and that I was able to use so many of my older handmade Christmas ornaments on the tree. That’s one of the best parts of Christmas, is the process of decorating and reliving memories of Christmas past. 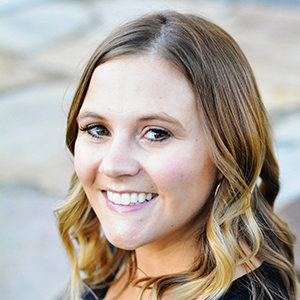 Be sure to check out all the other home tours! Heidi, I LOVE the board and batten wall in your entryway, and especially the way you added lots of red! Usually I decorate with all neutrals, but I adore red at Christmas-time. Everything turned out beautifully. 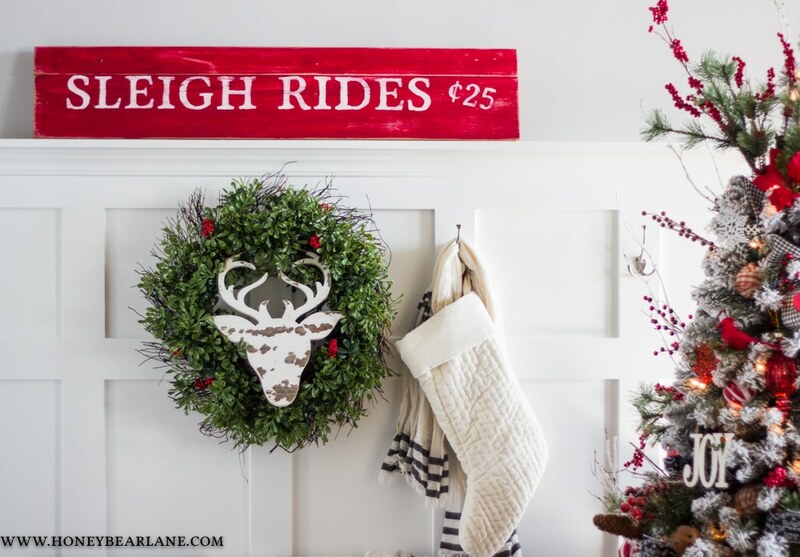 Your entry way is so festive, what a perfect way to greet holiday guests. 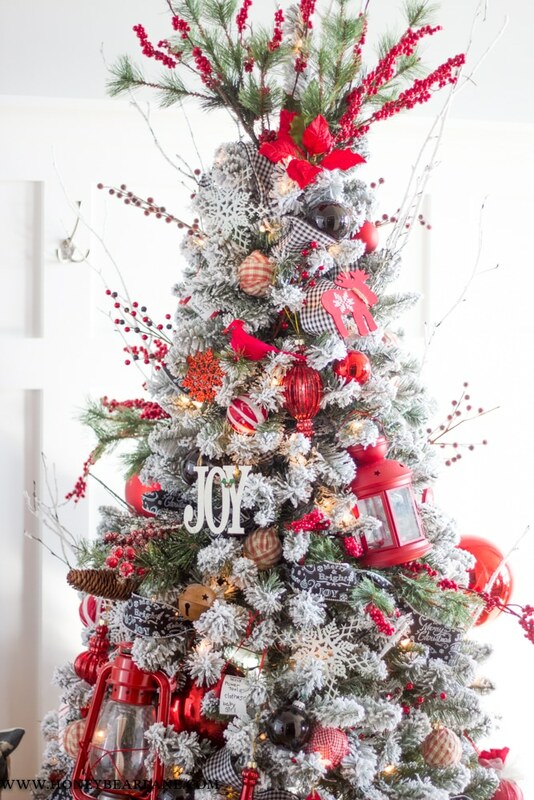 Love all the Christmas red and how you thought of every detail! Thank you Laura! Thanks for having me.